Taking his second century by storm, Astro Boy remains the robot of choice for legions of readers worldwide. 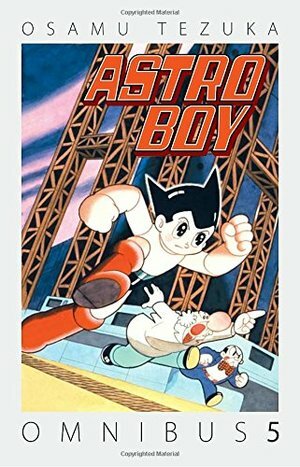 In this volume, Astro must stop the completion of a deadly robot built from alien blueprints, explosive Astro Boy balloons terrorize Tokyo, the very first appearance of Astro Boy from 1952, and more!From Osamu Tezuka, "the Walt Disney of Japan," Astro Boy is all-ages adventure packed with action, laughs, and heart. Astro Boy Omnibus Volume 5 is 688 pages, value priced and ready to rock the 21st Century! Collects all of Astro Boy Vol. 14, Vol. 15, and Vol. 16, and the story "The Frozen Human" from Vol. 17.